This Exquisite Gold and Royal blue door folding card has a beautiful laser-cut peacock silhouette on the main flap accompanies by tiny, delicate floral motifs on the lower blue flap in gold. 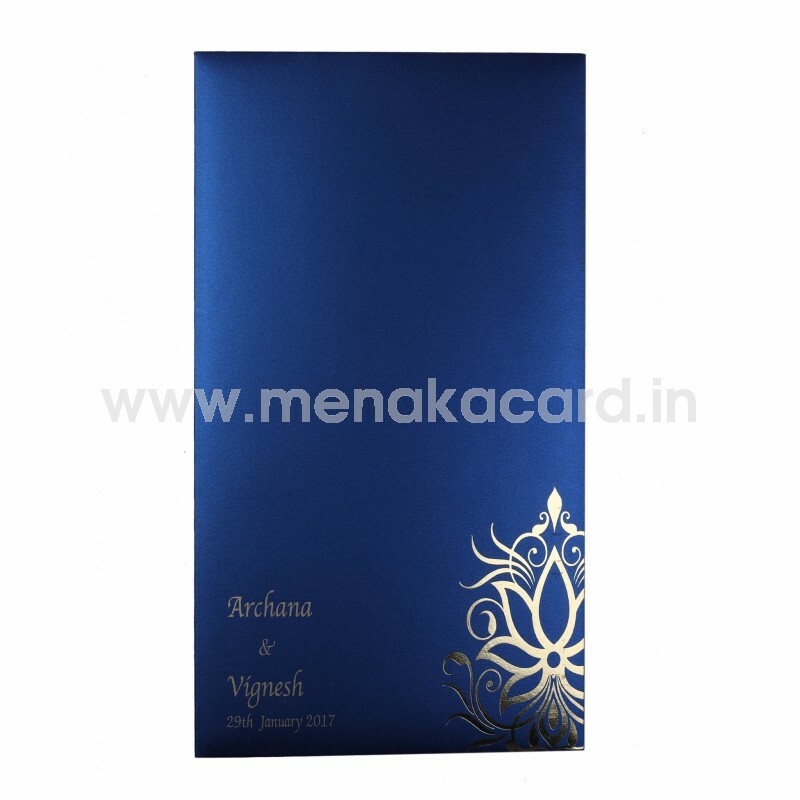 This card is made of Gold reflective metallic board and blue shimmer board and has a blue envelope with charming floral gold foil designs on the front. 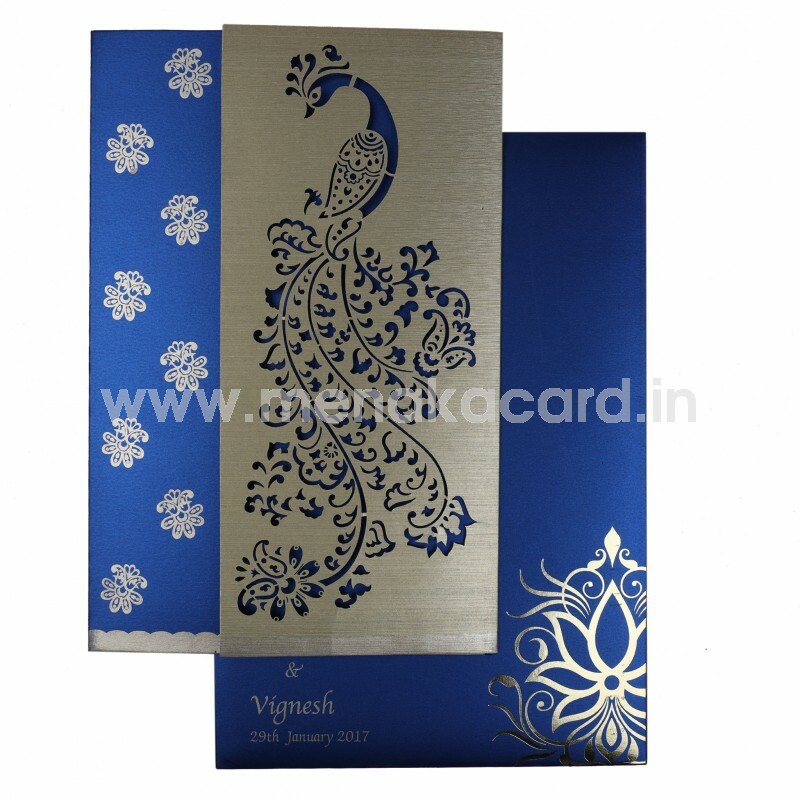 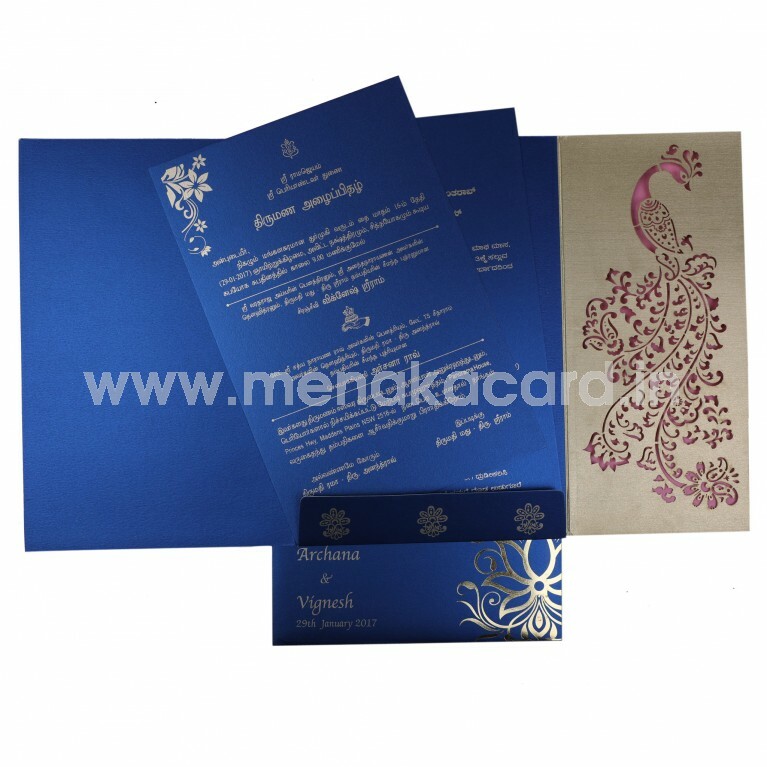 The card opens to reveal two blue shimmer board inserts with contrasting gold ink on them. This card is generally preferred for more official invitations for Hindu, Muslim weddings, Receptions, etc.